The unprecedented amount of gold unearthed during the California Gold Rush sparked a boom in mining throughout the world. From 1850 through 1875, more gold was discovered than in the previous 350 years, upsetting monetary systems everywhere. Almost immediately, the flood of newly mined metal distorted the existing ratio between gold and silver prices. Gold soon flooded the monetary markets of the world, causing its price to fall, which in turn had the effect of raising the price of silver in relation to gold. As more gold became available, silver prices skyrocketed, and the bullion values of U.S. silver coins quickly exceeded their face values. Melting was rampant. As would happen several times in U.S. history, change for retail businesses dried up. 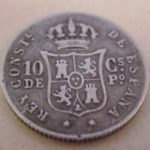 This lack of fractional silver coinage created chaos among merchants and bankers who were forced to make change with three-cent silver pieces, heavily worn dimes and half dimes, and Spanish fractional silver. Ultimately, the necessity to do something about the problem forced Congress’ hand. The Coinage Act of Feb. 21, 1853, considered a temporary measure until the value of silver stabilized, lowered the weight (and thus the silver content) of all the silver coins but the dollar and three-cent piece by approximately 7 percent. (The three-cent piece was already a subsidiary coin and was not being melted.) Curiously, retaining the old standard in the silver dollar would seem to be at odds with the intention of the legislation. 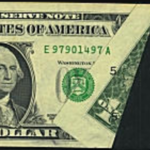 As Congress was strongly divided on the entire question, it’s probable the dollar remained as it was as a sign of the nation’s continued allegiance to bimetallism. Officials agreed that the new, lower-weight coins should have some distinctive design or mark that would enable the general populace to easily distinguish them from the earlier Gobrecht-Hughes designed Seated Liberty coinage that contained a greater amount of silver. But the press of time would not allow for any drastic redesigning. It was decided to hand punch arrowheads on either side of the date and add a “glory” of rays on the reverse dies of the quarter and half dollar. Unfortunately, the rays complicated the die makers’ work and slowed die production to an unacceptable degree. Dies with the rays also failed much more quickly that the older design, requiring endless preparation of more replacements. 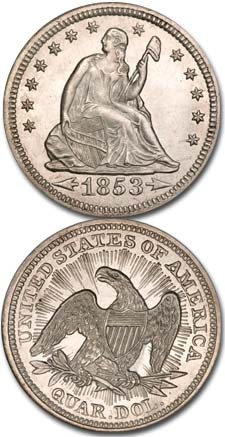 The rays were removed from the half dollar and quarter at the end of production in 1853, but the arrows lingered on the four denominations for two more years. Congress’ plan evidently worked: For the first time in U.S. history, there was an adequate supply of U.S. fractional coins for commerce. By early 1854 the coin shortage had ended, and more than a million dollars worth of silver coins were stored in the vaults of the Mint. But coinage had gone well beyond meeting the nation’s needs at the time—the result of mal-administration of the law itself. 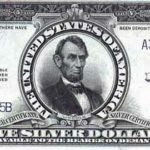 The Mint Act of 1853 specifically required Mint officials to purchase silver bullion from the Mint’s bullion fund and then sell the new coins to the public for gold coins only. What Mint Director James Ross Snowden did, however, was to pay bullion owners with the new silver coins. Even after the market price of silver bullion had fallen, the Mint continued this practice, and by setting no limits on the amount of bullion the Mint would purchase, Snowden was able to effectively allow for the free coinage of silver, a practice Congress wished to discontinue in 1853. This situation virtually guaranteed that there would soon be too many silver coins in circulation. Under other circumstances this policy might not have presented any particular problems, but the coins authorized by the Mint Act of 1853 were only legal tender in amounts up to $5. 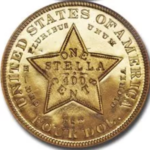 As the Mint Act did not allow for redemption of the coins and there was no possibility of exporting them as there was with the heavier, old tenor coins, oversupply was inevitable—and it came quickly. 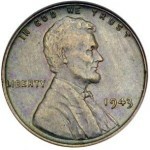 Soon, retail stores refused silver coins except for small payments, and even banks declined to accept them for deposits. Some businesses that received large amounts of change were forced to sell their surplus to a broker at a discount. The situation became so serious that Treasury Secretary Guthrie temporarily suspended the coinage of quarter and half dollars, but he never investigated the Mint policy responsible for the oversupply. This redundancy in the nation’s silver supply lasted until 1862, when the government finally suspended specie payments, and coins once again disappeared from circulation. The Mint Act of 1853 achieved what Congress and the Mint set out to do; it reduced the amount of silver in the fractional coinage to a level where small change circulated once again. The Act also established a fiduciary coinage in the United States for the first time. The merits of fiduciary coinage would be debated for the next century, but it was the Arrows coinage of 1853-55 that fired the opening shot in the controversy. The issue was not fully resolved until all precious metal was finally removed from circulating coinage in 1970. Tokens - "The Peoples Money"What Happened To All The Early U.S. Coins?